The gorge of Samaria is the second most visited tourist attraction on Crete (following the Minoan palace of Knossos) and by far the most popular walk.More than a quarter million people walk through the gorge every year from May to October.In winter the gorge is closed to visitors due to danger posed by water and falling stones. 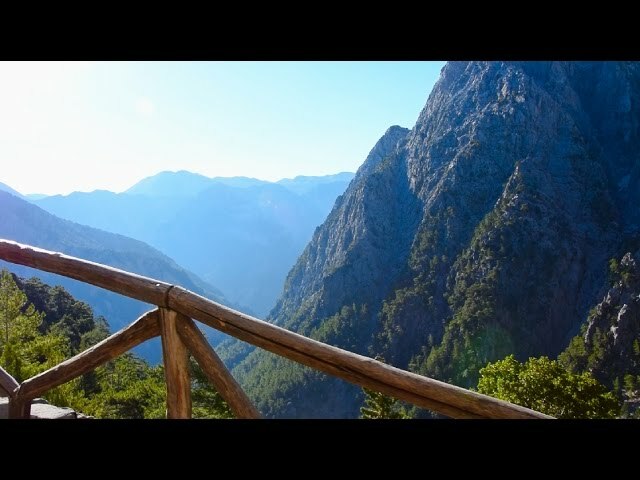 The Samaria gorge is the longest one in Europe. It is an area of stunning natural beauty. Rare flora and fauna have survived in this area and are protected. The mountains that have formed it are wild, high and steep. One will pass through forests of ancient cypresses and pines and descend between vertical cliffs. The path starts from Xyloskalo (near Omalos) in the White Mountains at an altitude of 1230 meters and comes to an end at the village of Agia Roumeli at the Libyan sea.Walking through the gorge usually takes anything from 4 to 6 hours (excluding the breaks). If you would like to avoid the crowds, you could choose to start your walk towards the middle of the day. This way you could reach Agia Roumeli in the evening, having enjoyed the gorge all to yourself. You could spend the night in Agia Roumeli and then have a wonderful day at the beach before you leave. Nevertheless beware: the Samaria gorge is not just an easy stroll. The path is 16km long and although it is maintained and in good condition, it is quite stony and also steep at times. If you are not used to this type of exercise you may find it pretty heavy going and will certainly feel your legs for a few days afterwards.